School holidays have just come to an end here in South Australia and I’ve been able to spend a bit of time re-stocking my freezer with lots of lunchbox goodies. 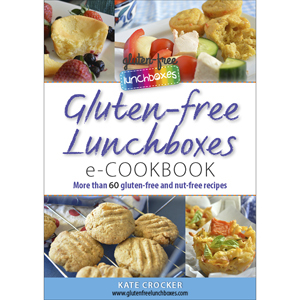 It’s so handy being able to pull lunchbox food out of the freezer, but as you probably already know, you don’t necessarily get a great quality defrosted baked good if it’s gluten-free. That’s why I usually use my own mix of flours rather than rely on a store-bought mix. For a cake or muffin, making your own flour mix is really the key to having a beautiful quality after defrosting. But there are some exceptions. Usually, for anything that doesn’t need a fluffy, spongy texture, you can get away with a store-bought flour mix. To make cookies really quick and easy, I don’t worry about mixing my own flours. Click here to read more about gluten-free flours. I love the combination of apricot and coconut, especially the way that the coconut really cuts through the sweetness of the apricot. 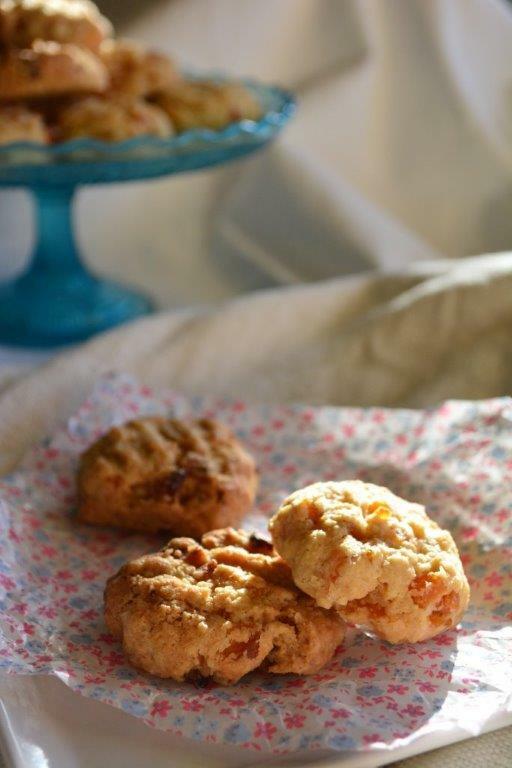 These cookies are quick to make, can be frozen and are an easy lunchbox snack. To make them even simpler, I use a pack of diced dried apricots. If you can’t find any, you can use a food processor to chop dried apricot halves, or just take a few extra minutes to chop them by hand. Preheat oven to 180° Celsius (conventional oven) or 160° Celsius (fan-forced oven). Grease and line a large baking sheet or cookie tray. Put all ingredients in a large bowl and mix to combine. Roll heaped teaspoonfuls of mixture into balls and put unto tray. Allow room for spreading. Gently press with a fork to flatten a little.